Biral’s proven ALS–2 Ambient Light Sensor, used to measure background luminance as part of a Runway Visual Range (RVR) system, has just received a design enhancement. The Ambient Light Sensor now features a half turn twist and lock mechanism for the connection of the field calibrator which improves its ease of use and eliminates any potential operator errors from incorrect calibrator attachment. Mounted alongside the airport runway, the ambient light sensor is deployed with a visibility meter to provide the background luminance data necessary for the calculation of RVR. With a choice of serial data or analogue output, the ALS-2 can be used to replace a wide range of background luminance meters in both legacy and new installations. A simple pole mounting system even incorporates a graduated angular scale to ensure easy and accurate installation. Designed to comply with specifications and guide lines produced by ICAO, WMO and the Federal Aviation Authority (FAA) in the USA, the ALS-2 meets all the requirements for use in typical RVR systems. System integration is simplified as the sensor can be directly connected to a Biral visibility or present weather sensor and have the background luminance data incorporated into the visibility sensor’s output data string. 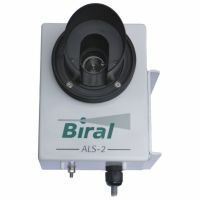 A special feature of the ALS-2 is its ability to be calibrated in the field without the need to disconnect the cable or send commands via the software interface. 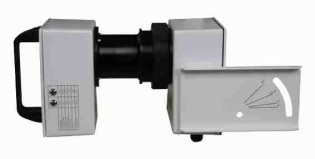 The ALS-2 field calibrator accessory simply fits over the hood and communicates with the sensor using an IR link through the optical window. The calibration can be checked and adjusted in a matter of minutes without the need for specialist staff or laboratory equipment. The ALS-2 has window heating and window contamination adjustment as standard, and also has self-test capabilities.